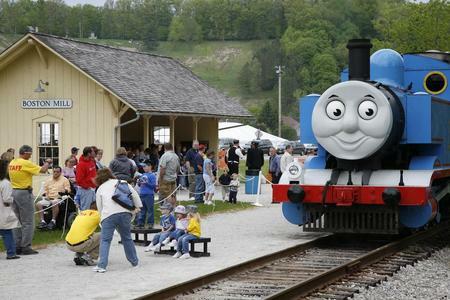 Each winner will receive a pack of four tickets for the Day Out With Thomas train ride on Friday, May 25, at 9:30 a.m. Once again, we would like to thank the Cuyahoga Valley Scenic Railroad for generously donating tickets to our patients and their families, as well as these lucky winners. To claim your prize, contact us at webmaster@chmca.org. If we do not hear from the winners within 48 hours, a new winner will be selected. How do I enter for a second chance drawing in case a winner doesnt get ahold of you in time? I just now saw this. Hi Trudy. The deadline to enter the giveaway was May 11, 2012 at 11 p.m. We are not accepting any additional entries. If we need to choose other winners, we will be choosing them from those who already submitted an entry by the deadline. We’re sorry you missed this giveaway, and we hope you will enter other giveaways we have in the future.